Setting the rider sag on the rear shock spring. Setting the pre-load on the front forks. Adjusting the angle of the handlebars in the bar mounts. Adjusting the angle to the levers (clutch and front brake). Adjusting the height of the rear brake pedal. 1. Setting the rider sag on the rear shock spring. 2. Setting the pre-load on the front forks. Numbers one and two are critical for balancing the chassis. For example, if the rear shock spring has too much pre-load on the shock spring, the rear of the bike will be too high, which will make the front too low. Not only will you be handicapped from the action of the suspension not working as well, but also the bike will not steer well. In this case the front will want to turn too sharply, maybe knife in and tuck. The front-end will also be more likely to headshake. On the other hand, if the pre-load on the rear shock spring is set too soft the rear of the bike will be too low, which will make the front too high. With this setup the bike will not steer well, and it will be likely that the front wheel will push out in the corners. The bike will also want to stand up in the corners. Of course, the same goes for the front suspension's pre-load adjustments being set too high or low. The rear shock spring on full size bikes like, 125, 250 and up should have between 105 and 110 mm of rider sag. Rider sag means with the rider sitting or standing in the central location. Free sag should be between 15 and 35 mm. Free sag is just from the bike's own weight. 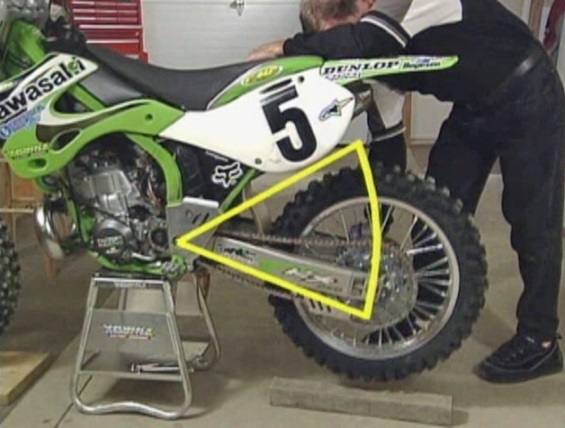 Of course, the first measurement for both of these adjustments have to be measured while the bike is on the stand with the suspension fully extended. For smaller bikes, check your owner's manual for the recommended setting. 3. Adjusting the angle of the handlebars in the bar mounts. This will affect what is known as the "Rider Compartment." This is the distance between the foot pegs and the handle grips. With the way the handlebar is made, the height and bend of the bar should match your preferences for your height, arm length and just what you prefer. The problem is most C Class riders don't know what they prefer. The only way to know is to try a lot of different bars. These different bars will also depend on the chassis of the bike. Even if a bar doesn't fit a C Rider but he uses it for a long time anyway, he will get used to it and think it's the best bar for him or her. For example, let's say he bends these bars and has to buy new bars. He gets lucky and gets the perfect bars for him. He will not like them on the first day of riding, but by the second day he will like them better. Whatever bar you have, adjust them in the bar mounts so the grips are parallel to the ground when the bike is on the ground with you sitting in the central location. This "Central Location" is when you are sitting in the front pocket of the seat and your eyes are straight up over the handlebar mounts. 4. Adjusting the angle to the levers (clutch and front brake). If you are having trouble keeping your elbows up and out away from your sides, this all starts with your hand position on the bars. If your hands are not grabbing the grips high enough (known as a high over grip) you will not be able to ride with high elbows. In this case it's better to adjust the levers down at a lower angle (about 45 degrees down). The front brake lever should be a little lower then the clutch because of using the front brake while you go from the braking hand position, to the accelerating hand position (known as the "Re-Grip"). Once you have mastered the "High Grip" and the "Re-Grip" you should begin to move the levers up, in order to find your sweet spot. But remember, the front brake should always be set a little lower than the clutch. 5. Adjusting the height of the rear brake pedal. While the bike is on the ground, the rear brake should be adjusted about a quarter-inch higher then the foot peg. This is because you have to be able to apply it hard, while your foot is pivoting on the foot peg from the arch of your foot. You have to be able to do this while you are standing with your weight back as far as possible. If you are used to having your rear brake adjusted lower, at first you will not like this higher adjustment, especially when you are sitting down and especially if you were using the rear brake, while sitting, and keeping your foot on the peg. This is one of the things where you can't have the best of both worlds, instead you have to compromise a little. 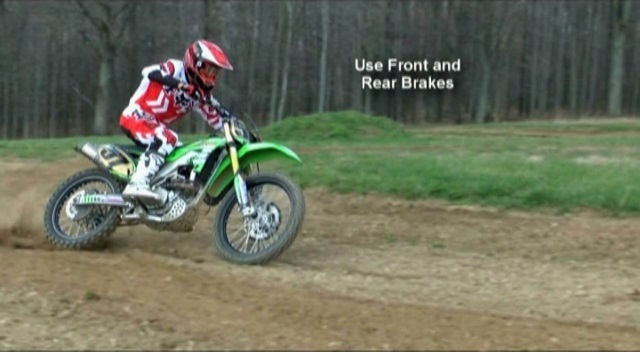 If you have the rear brake adjusted low enough so you can keep your foot on the peg and use it, while you're sitting on the front part of the seat for a corner, you will not be able to reach it when you're standing with your body weight back. And this is the body position where you should be braking the hardest. Fork and shock springs for rider weight and skill level. How to test and adjusting the compression and rebound clickers on the front forks and rear shock. Testing and adjusting the high-speed compression adjuster on the rear shock. How to test and adjust the height of the front forks in the triple clamps. How to test and adjust the jetting of the carburetor (2 strokes only). 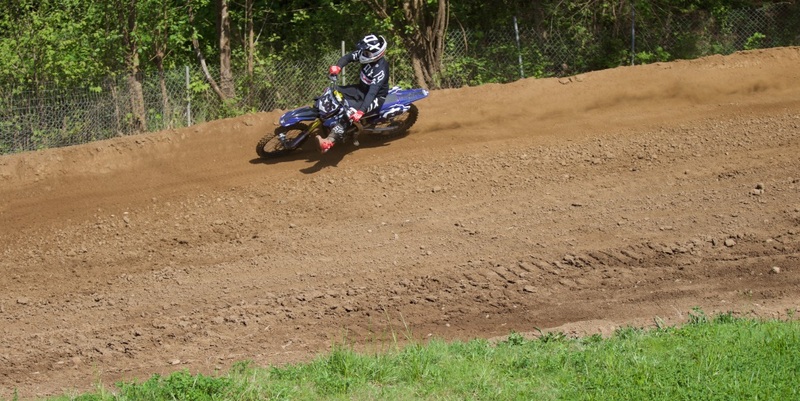 I would much rather race a stock bike that is adjusted properly then race a full-on Works Bike that is out of adjustment. You probably don't realize it yet, but your bike setup is extremely important. Why do you think the top pros spend sooooo much time TESTING!!! If you really want to get your bike dialed in and fitting you like a glove, you may be interested in my Bike Setup DVD which is on sale now for just 9.98.